While the death of restaurateur and socialite Jackie Milijash? left a legal battle over her estate, a new buyer has swooped on her prized asset: Jackie’s. 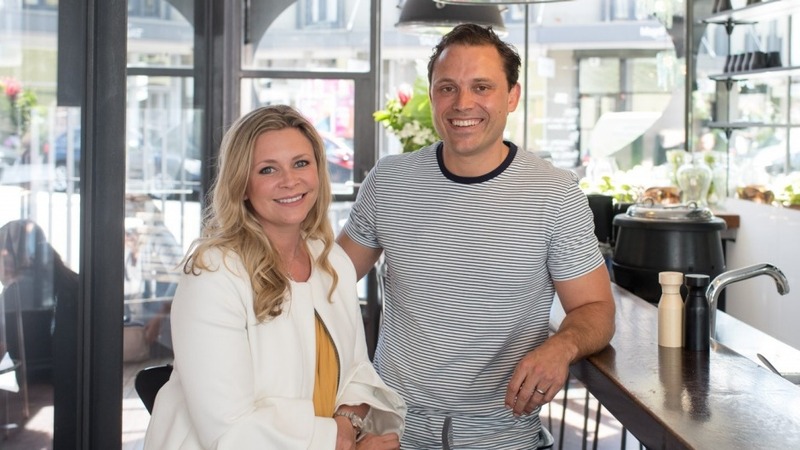 Merchant banker-turned-coffee-entrepreneur Jono Bowman and his wife Lucy have snapped up the Paddington eatery, a favourite food haunt of Hugh Jackman and Nicole Kidman. Bowman says he bought the business from Jackie Milijash’s mother Gina, who became embroiled in a legal tangle after reports emerged earlier this year that a chef at Jackie’s was claiming a slice of his former bosses’ estate. Bowman, who successfully dived into the London coffee market with his Urban Baristas start-up, has a partner with strong hospitality pedigree. Lucy Bowman worked with Moet Hennessy and grew up in and around a Michelin-starred kitchen owned by her father. Jackie’s classics – including the salads and sushi – will remain, while newly signed chef Josh Booker (Byron Bay’s Dish and the Boathouse, Balmoral) will introduce some of his own dishes. Bowman says they briefly considered changing the name before deciding to retain the Jackie’s moniker. “It’s big shoes to fill, but it is an important part of the area,” he says. This entry was posted in Press & Editorial, The Intersection. Bookmark the permalink.